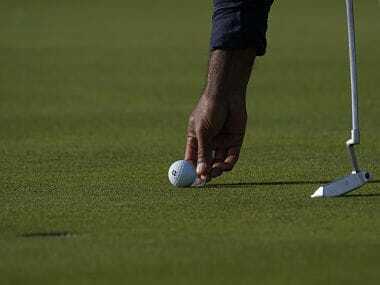 Antalya, Turkey: Shubhankar Sharma is ready for another three weeks on the European Tour's Final series on the Race to Dubai which travels from Antalya, Turkey to South Africa and finally Dubai. This week Sharma plays the Turkish Airlines Open, the first of three events in the final series for the 2018 European Tour season. 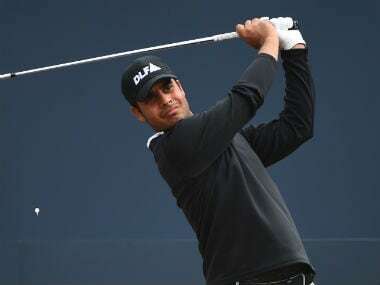 Sharma, who is straddling between European and PGA Tours, while keeping an eye on the Order of Merit on Asian Tour, arrived in Antalya from Shanghai, where he played the WGC-HSBC (T-69) after the CIMB Classic in Malaysia (T-10), CJ Cup (T-55). So, when he tees off in Antalya on Thursday, it will be his sixth week in a row. Sharma laughs and says, "After these three (including South Africa and Dubai) events, there is Hong Kong and Mauritius making it 10 in a row. Yes, I am tired but this has been an unique year. I have gotten into PGA and big events in Europe, so a lot happened quickly. Sure I have never played as much, but it will get better next year as I will plan for the whole year as such." Sharma has already played 28 events in 43 weeks in 2018 and there is possibly 5-6 more to come and that would make him one of the busiest players in the world. He adds, "Also I have gained so much experience. Of the 28 events so far, only four — Maybank, Hero Indian Open and the two events on Taiwan came on courses I had played before. The rest 24, including this beautiful one for Turkish Airlines Open, have been new. So, when I come back to these later, I would know them." As for the performances, he added, "The wins apart, I have had three top-10s, Mexico, Indian Open and CIMB. I led into the final round in them, but have not closed them. Eventually I know I will. This year, as I said, was one of learning. I made some adjustments in swing especially when some small things creeped in, which is normal. All these is the experience I have gained and I have now stopped thinking about results and am not putting pressure on myself. So, hopefully things will get better because my game, as such, is fine." He leads the Asian Tour by just over US $ 130,000 but with US $ 2 million Hong Kong Open, the US $ 1.23 million Mauritius Open, South African Open and the US $ 750,000 Indonesia Open among the events still left, some one could still chase down Sharma. So, doubtless he will play some in Asian, too, which means the busy end of the year continues for the 21-year-old, who has made a lot of waves this last one Sharma could have made things easy for himself at the CIMB Classic, where he held a share of the lead into Sunday but ended T-10. With 50 per cent of the money coming in from the PGA-Asian Tour event counting towards Asian Tour OOM, a couple of birdies in the closing holes — where he had chances — could have seen him finish sole second or Tied second and that would potentially have trebled the US $ 175,000, he earned as T-10. That could have locked his Order of Merit title and maybe he could have skipped Hong Kong and played World Cup, from which he recently withdrew. Sharma has been drawn to play with Andrea Pavan and Jorge Campillo in the first and they tee off at 10.35 am. Top draws defending champion and Olympic gold medallist, Justin Rose and last year Race to Dubai champion Tommy Fleetwood and Ryder Cup star, Thorbjorn Olesen will tee off at 12.05 pm in the marquee group. The group ahead of them will include Asia's top bet Kiradech Aphibarnrat, Hero Indian Open winner Matt Wallace and Thomas Pieters.